Converts manual hydraulic steering for dramatic reduction in steering wheel torque and at the same time provides a pump for an autopilot installation. 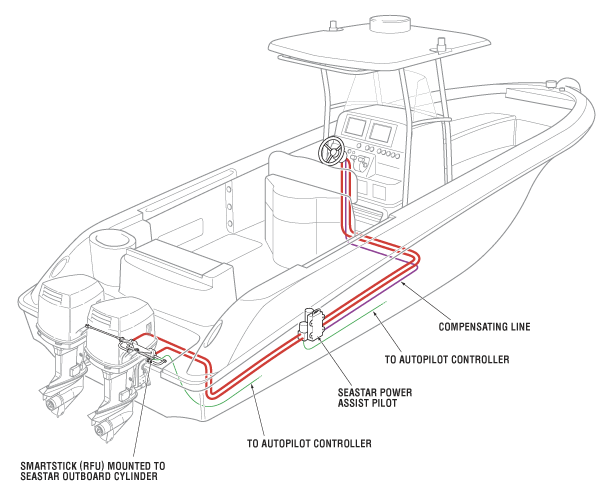 The SeaStar Power Assist Autopilot pump is the standard power assist product with the addition of a Type 1 or Type 2 autopilot pump. 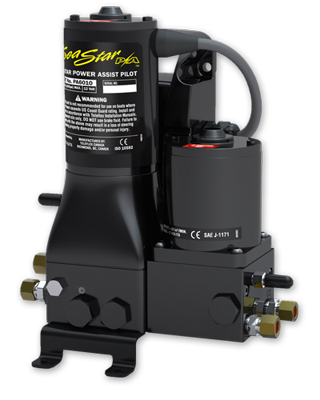 The SeaStar Autopilot pump is a fixed flow, reversible pump set that uses an internal hydraulic gear pump, producing very little vibration or noise. It is offered in 12 and 24 volt configurations, as well as two different pump sizes (type 1 & type 2). • Autopilot ready – a single installation (i.e. no need to break into system for install of pump). • Converts manual hydraulic steering to power steering. • Dramatic reduction in steering wheel torque. • Compatible with power purge system. • Ignition protected (SAE J-1171). • ABYC, CE, NMMA, ISO 10592 Approved.